Mumofstig is the forum expert on Greek food. She tells us that these delicious lemon roast potatoes, cooked in huge oven trays, are a traditional accompaniment to the whole barbecued lamb at family Easter celebrations . 1/2 tablespoon of dried Oregano – more if you like the taste, the Greek stuff has very strong flavour! Remove foil and baste potatoes with any unabsorbed oil and then cook, uncovered, for another 30 – 40 mins – depending on how crispy you want them. 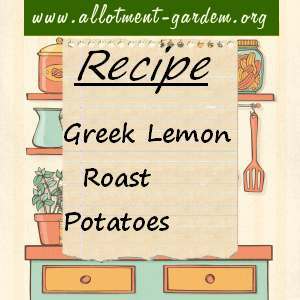 I’ve also used lemon thyme but the very strong Greek oregano is obviously traditional.